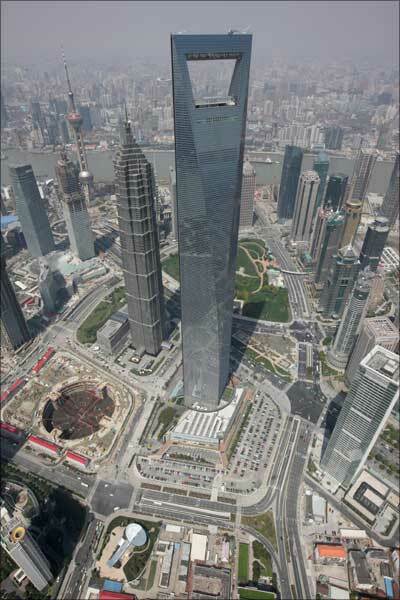 The Shanghai World Financial Centre in Pudong District of Shanghai. 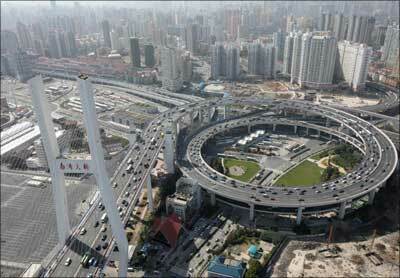 The Nanpu Bridge, built from funds provided by the Asian Development Bank, in Shanghai. 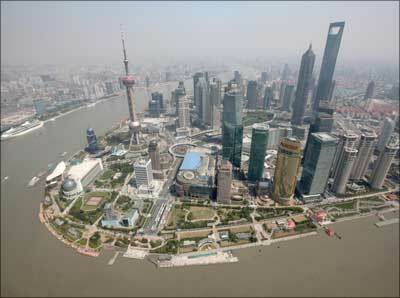 Shanghai's new financial district skyline along the Huang Pu river. 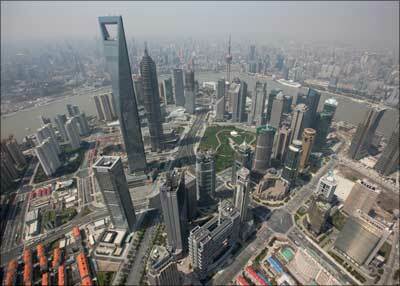 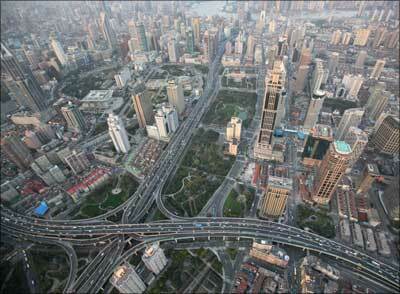 Skyline of central Shanghai's new financial disctrict.